Featured Furniture > Church Chairs & Seating > Church Chairs > On Sale: Dark Blue Church Chairs in AW-05 Fabric! 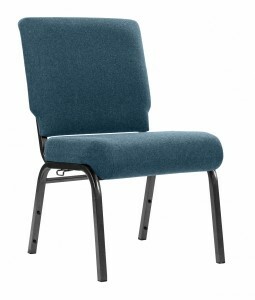 We’re offering a church chair special savings right now on our Dark Blue AW-05 Worship Chair. The frame finish on this chair is a combination of black and silver. 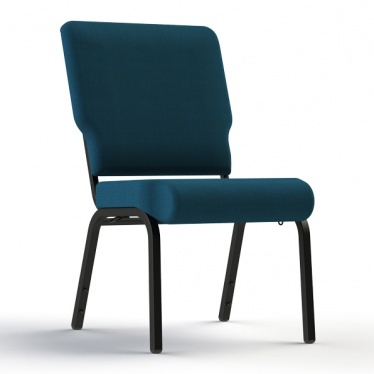 We are now producing this chair in such high volume numbers that our prices can be even lower for our church customers. 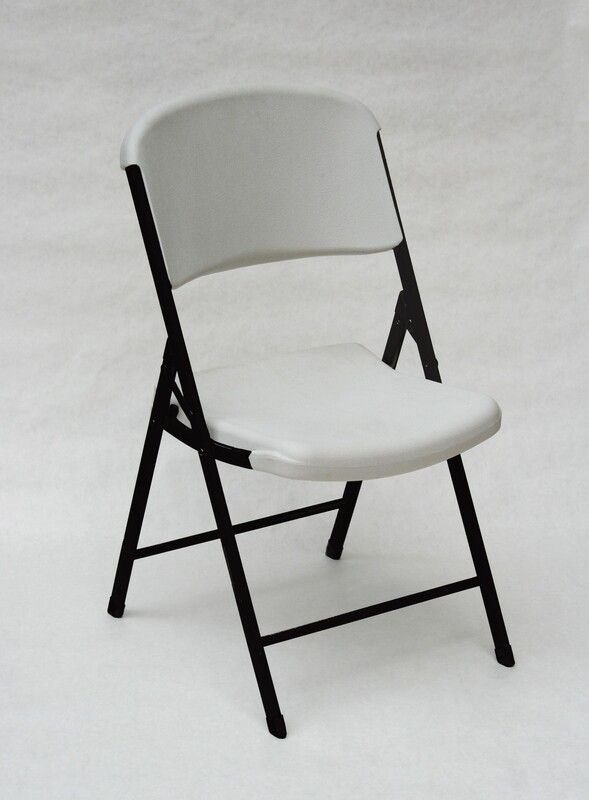 Here is a high quality church chair at entry level church chair prices. For churches that means that for a period of time, you are going to pay the price per chair normally associated with orders of 500 or more chairs, even if your order is as small as 50 chairs. And as an added bonus, we are going to add a free fabric card pocket to each and every chair at absolutely no cost to your church. We do need to mention that while we make ongoing efforts to always have this chair plentifully in stock, we have seen large orders lower those stock levels temporarily at times. And we also want you to be aware that if your location is near one of our warehouses, we are fine with you picking up your own chairs to experience NO shipping charges. We want to save your church money! 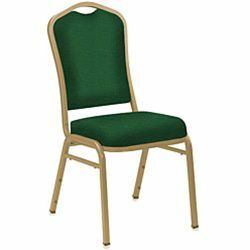 The 9350 Series of Banquet Chairs from National Public Seating!